MailerLite isn’t as well known in the category, but it’s features rival industry titans. A comprehensive suite of tools, beautiful templates and marketing automation all come built-in. And at a cost that is less than any provider we have reviewed. Read our full MailerLite review. MailerLite receives our highest recommendation by Email Marketing Science. MailerLite isn’t just for sending email campaigns. MailerLite has thought through the entire email marketing process. That starts with a lead capture landing page. 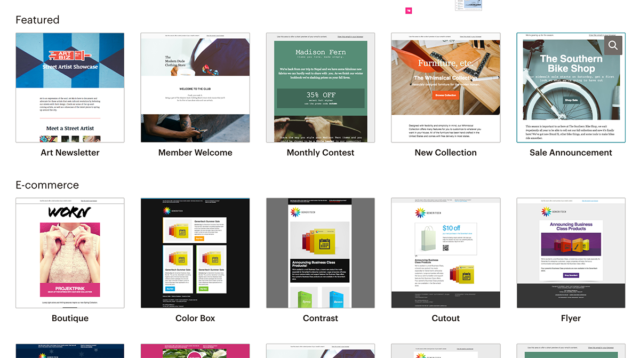 MailerLite has a ton of landing page templates that look beautiful and have been tested. This means you can grab one you like and start building your list quickly. And if you want to make any adjustments, use MailerLite’s built-in drag-and-drag builder to customize your landing page further. Other email marketing providers put a lot of work into email campaign builders. 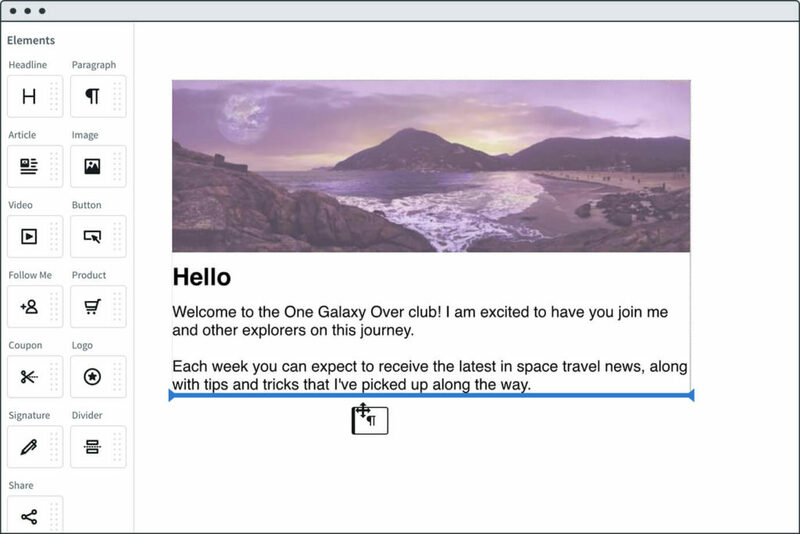 But MailerLite has both a beautiful email campaign builder AND a beautiful landing page builder. We’ve seen email marketing providers move from simple email blasts to sophisticated marketing automation campaigns. MailerLite brings that sophistication to its users in an easy-to-use builder. Set up emails, insert delays, and even add conditions. A condition can be whether or not a reader clicks on a specific link in the email, or opens your email at all. Most email marketing providers offer email setup and delays, but MailerLite’s conditions put them in a class of their own. This is best-in-class automation at a great price. Split testing is a crucial component of successful email marketing campaigns. MailerLite makes it easy. Choose to split test your email subject, “From” name or message content. Then, select your group size and how to determine a winner. MailerLite will automatically segment your list for the test and deliver different variations of your message. When the winning variation is determined, MailerLite sends the winning variation to the rest of your list. And it does it automatically. Other email marketing providers may offer more options to segment and split test lists, but not all will automatically send the winning variation out for you. For us, we’d rather choose automation over deeper features that you need to manually check, review and deploy. In the footer of every email marketing message you receive, you’ll find a link to unsubscribe. That’s the link the people can click to leave your list forever. For email marketers, that’s one fewer customer or one fewer lead. MailerLite knows the unsubscribe link is the very last moment to retain that subscriber. They created a new feature we hadn’t seen before: they made a dedicated page builder for your Unsubscribe page. When you have granular control over your unsubscribe page, you can use it to match your brand’s design. And you have one more chance to retain that subscriber. Use it as a way to remind subscribers why they should subscribe. Or offer them something new to stay on the list. This builder gives your email lists an additional dimension, and you’ll likely see lower churn rates if you use it well. 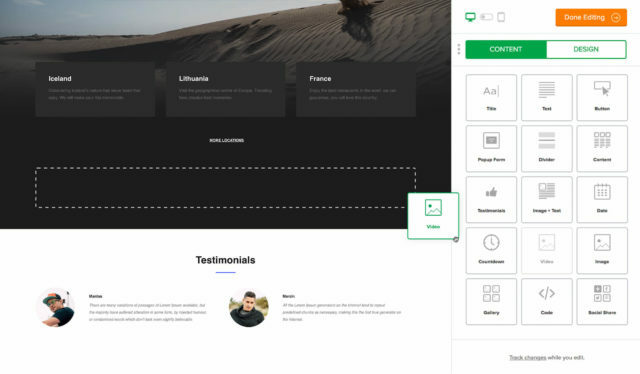 MailerLite offers a full suite of form builders and landing page templates with a beautiful builder. Pop-up forms are also available, making list building easy. We didn’t see a way to split test the forms and landing pages, which really would have put MailerLite over the top, but you won’t be disappointed with the templates and options available. MailerLite includes list growth tracking, plus basic analytics on delivered messages like open rate and click-through rate. UTM link parameters are supported so you can track behaviors in Google Analytics and other web analytics tools. But we would have liked to see revenue tracking for users who connect to Shopify, Stripe or PayPal. MailerLite also has click maps built-in, which let you visually see where and how often people click each link in your campaigns. 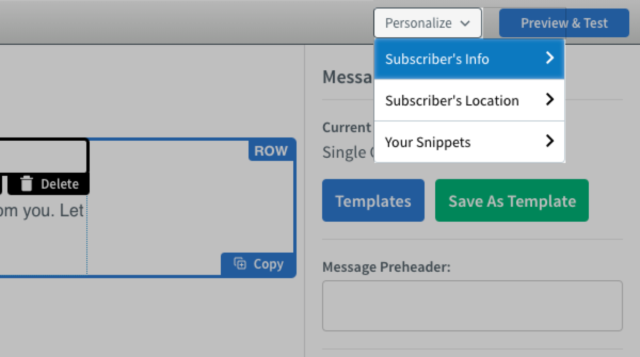 Create custom fields for when your subscribers sign-up, and you can slot them into lists. Or create new segments based on past engagements, social stats, age demographics. Or use integrations like Shopify to import customer segments. Other email providers have “pre-built” segments, which automatically segment lists based on subscriber behavior. We would have liked to see these auto segments in MailerLite. 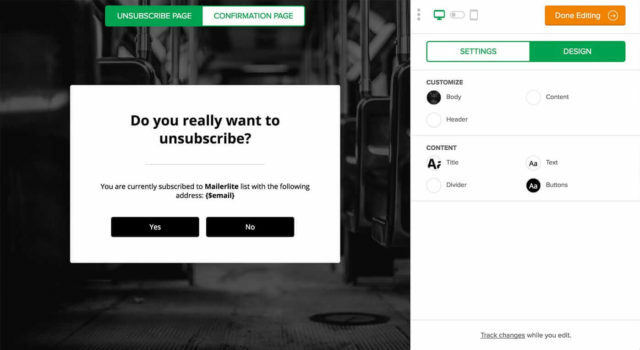 MailerLite offers powerful split testing for email campaigns, but not opt-in forms. 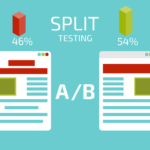 Email campaign split testing will show you the results of two variations. Test subject lines, the “From” name and message content. MailerLite will automatically crown a winner, too. MailerLite offers best-in-class email sequences and marketing automation. The drag-and-drop builder makes complicated email sequences easy to setup. You can create message, delays and conditions, such as if a reader opened your email or clicked on a specific link. MailerLite offer a ton of integrations. As a popular email service provider, MailerLite integrates with a large number of integrations, such as landing page tools, lead capture services, e-commerce tools, webinar services, payment tools like Stripe and PayPal, and Zapier – an email marketer’s best friend. MailerLite offers a free plan for lists under 1,000 subscribers. After that, their pricing is much, MUCH lower than other email marketing providers. You can get discounted rates if you purchase annually, instead of monthly. AWeber is an email provider that powers more than 100,000 bloggers and entrepreneurs with a focus on optimization and lead generation. 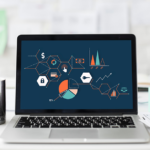 The email marketing provider has continued to reinvent itself over the years and invested in a lot of improvements to make itself a true top-tier competitor in the category. AWeber is recommended by Email Marketing Science. AWeber comes with powerful email autoresponders and marketing funnels built-in. With its drag-and-drop interface, you can create and edit sequences. In the tool, create new messages. Then, sequence them by dragging around the messages. Instead of having your messages sent right away, you can set up time delays. The messages drip into subscribers’ inboxes over time. You can also set up triggers. Email subscribers who haven’t opened a recent message. Or those who haven’t clicked on a specific link. These features add an additional layer of depth and control to your sequences. Every email marketing provider offers email campaign templates, but AWeber goes the extra distance to offer sign-up form templates. Through their selection, you can find the right sign-up form that fits your website best. But it doesn’t stop there. AWeber also has built-in split testing and A/B testing for the opt-in forms themselves. Now, you can optimize your forms to the small changes that may drive large improvements. We haven’t many other email providers offer opt-in form split testing. You usually need to pay for another service to get this level of control. But opt-in form testing is built-in to AWeber. As you start attracting email subscribers, you’ll find that you need to do some occasional weeding. People change email addresses. They change jobs. They change their last names. If your emails are still going to those email addresses, it will drive down your delivery rates and open rates until you remove them. AWeber takes care of bounces automatically. If a person’s email addresses gives a bounce error three times over a period of time, AWeber automatically removes that email address from your list. It’s as simple as that. AWeber has its own templates for opt-in forms. Once you customize the form to your own style, you can split test your forms. Split testing opt-in forms is something we don’t see from even larger email marketing providers, so we were pleased to see it included at no additional cost with AWeber. AWeber lets you segment your list by tags that you can create and apply. 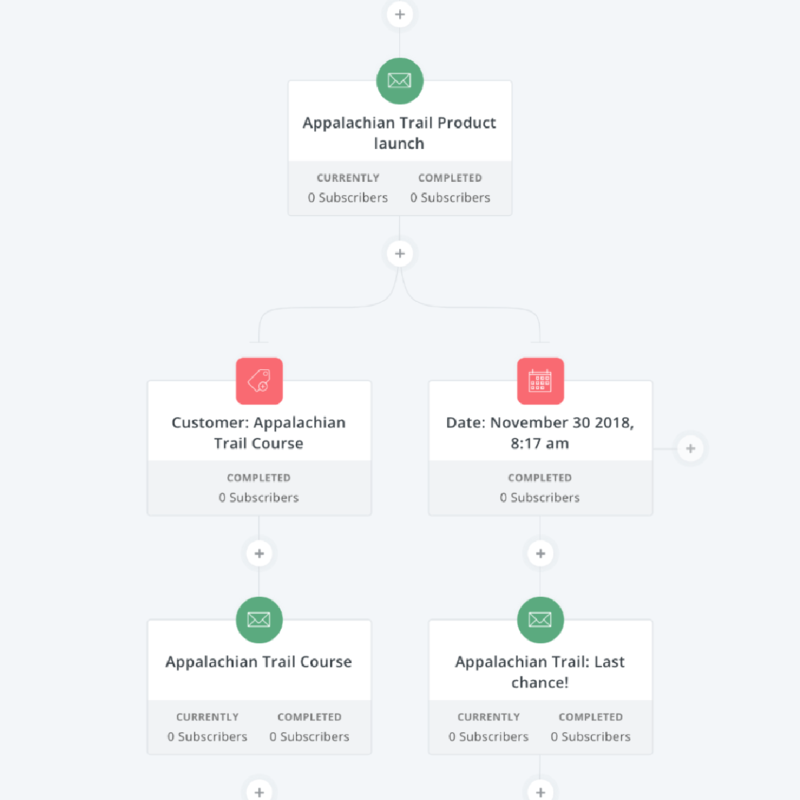 Other email providers have “pre-built” segments, which automatically segment lists based on subscriber behavior, but we didn’t see those features included in AWeber. There are also not any support for inferred demographic segments unless you build them yourself. AWeber has a powerful split testing tool for both email campaigns and opt-in forms. The split testing on opt-in forms is a killer feature for AWeber. It replaces the need for paying for other services. 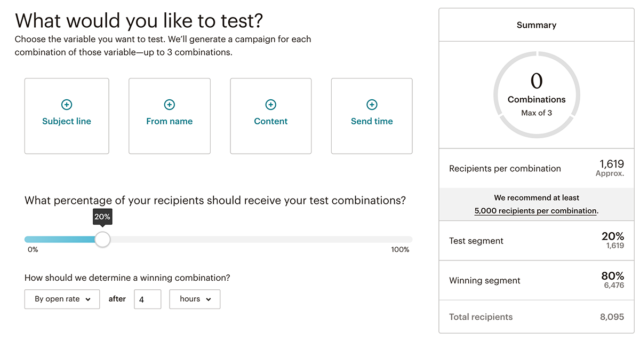 Email campaign split testing will show you the results of two variations, but it won’t automatically crown a winner. That interpretation is left up to you to determine. And because it doesn’t crown a winner itself, it doesn’t send the winning variation to the rest of the list. We think this is an area of improvement for AWeber. AWeber offers best-in-class email sequences and marketing automation. The drag-and-drop builder makes complicated email sequences a snap. We love the experience and think every AWeber user should be using it for their lists. AWeber has automation triggers. These triggers can launch new email campaigns depending on reader behavior. You can send different messages for readers who open an email, or don’t open an email. Or, for readers who click a specific link. AWeber offer a ton of integrations. As a popular email service provider, AWeber integrates with a large number of integrations, such as landing page tools, lead capture services, membership and course websites, e-commerce tools, webinar services, payment tools and Zapier. AWeber doesn’t offer a free plan, but they offer a 30-day trial for you to fully test AWeber before you commit to purchasing. You can get discounted rates if you purchase quarterly or annually, instead of monthly. GetResponse leads with a beautiful user experience and some powerful features that rival industry titans. Its split testing, massive templates library, and deep integrations make GetResponse a strong email service provider and email marketing tool. GetResponse receives our highest recommendation from Email Marketing Science. You could guess or test the right time to deliver an email. Or, leave it to GetResponse. With Time Travel, when you deliver an email campaign, your message could land in your readers’ inboxes at, say, 11AM, no matter where they live. GetResponse handles timezone differences. But not every reader is on the same scheduled. That’s why GetResponse offers another feature called Personalized Delivery Time. GetResponse tracks when every subscriber opens your emails. 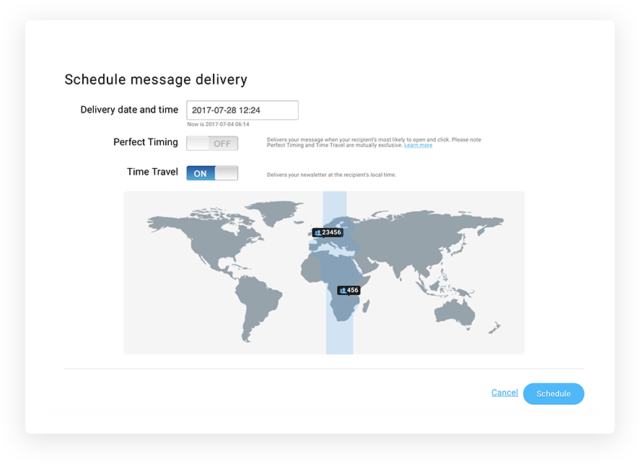 Then, it optimizes your campaign delivery time to when THEY will open your email. Perfect timing, right? 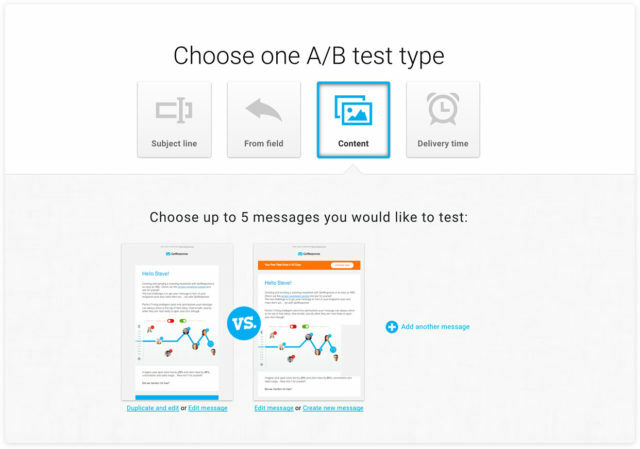 Every email service provider offers some level of A/B testing and split testing. GetResponse gives you 4 ways to split test: subject line, from field, email content and delivery time. What makes GetResponse unique is that you can choose up to 5 variations to choose at once. That means, instead of running a side-by-side, A/B test, you’re doing sophisticated multivariate testing. And GetResponse handles the testing for you. Once GetResponse finds the winning variation, it sends that variation to the rest of your list. Let machine learning work for you, and focus on growing your business. Automations and triggers can easily get complicated, but few email service providers give a visual and clear user interface as well designed as GetResponse. With the workflows builder, you can make sophisticated paths for which message to send to your users by dragging and dropping elements. GetResponse also has autoresponders that you set up on a calendar. You can drag and drop which email is sent when in a way that feels like Outlook, Apple Calendar or Google Calendar. GetResponse has opt-in forms and landing pages with plenty of pre-designed templates. Plus, you can optimize your landing pages to get the best response, something we don’t see across providers. GetResponse offers email list growth tracking, plus basic analytics on delivered messages like open rate and click-through rate. You can track UTM link parameters in web analytics tools like Google Analytics. 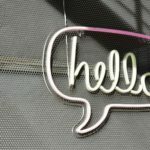 If you connect GetResponse to an e-commerce provider, like Shopify or WooCommerce, you can track e-commerce performance too. GetResponse gives you the ability to set up list segmentation by what you know about your subscribers. You can also segment by your readers’ campaign behaviors, like if they missed your last messages. These are good features, but we wished GetResponse generated automatic segments, like lapsed shoppers (for e-commerce) and readers who haven’t read your last few emails. 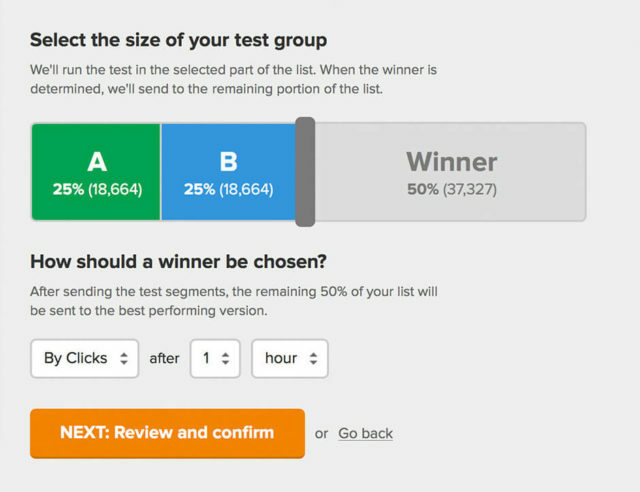 Split test your email subject, email content, from name, or delivery time. You can only test one at a time, but you can test up to 5 variations. The number of variations will probably be limited more than your list size, so only being able to test one variable at a time isn’t necessarily a bad thing. Once GetResponse finds the winning variation, it will send that variation to the rest of your list automatically. GetResponse offers a brilliant and beautiful workflow for triggers and sequences. They are extremely powerful. The interface may look overwhelming at first glance (it’s not), but GetResponse has a tutorial built in. You won’t feel lost, and you’ll be building best-in-class sequences. Even if you’re new to email marketing. GetResponse has plenty of integrations. It integrates with e-commerce tools, social networks, payment tools and Zapier. GetResponse does not offer a free plan. Instead, when you sign-up for a plan, you get a one-month free trial. If you operate a non-profit, you can get a 50% off lifetime discount. MailChimp is an email provider powerhouse that builds beautiful email marketing campaigns for small businesses, blogs and e-commerce stores. Over the last few years, MailChimp made a successful pivot to marketing automation, and the provider innovates at a pace that competitors struggle to keep up with. We use MailChimp as our email provider, and MailChimp receives our highest recommendation from Email Marketing Science. 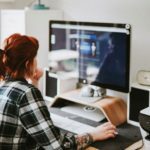 Not a frontend designer? No problem! MailChimp brings a large section of themes and starting points to get your going. And the variety is broad. 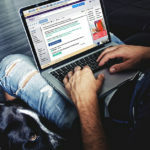 Create an email campaign to make an announcement, connect to your e-commerce store to sell products via email, or connect to your RSS feed to automatically send an email every time you publish a new blog post. These features are just a few that are available right out of the box. You can code your own template and features too. Campaigns Beyond Email. Way beyond. Setting up an email campaign is really just one step in many to email marketing. And MailChimp knows this. 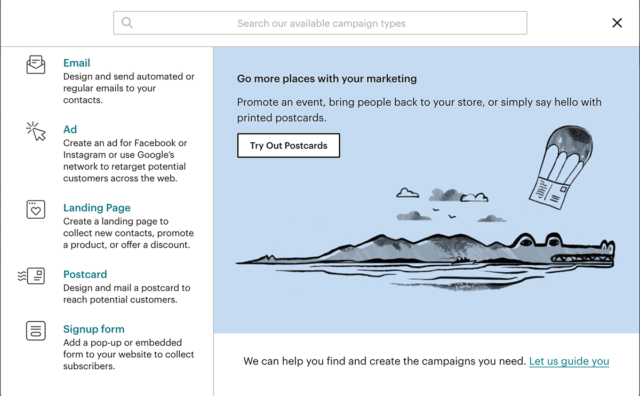 On the Create Campaign page, you can create an email campaign. It can be a regular campaign, a simple but sophisticated automated campaign, or an A/B test campaign. Then, you can create a Landing Page and offer a download or incentive for signing up. You can also create a Signup form in the tool. And probably the most powerful feature are the ads. Create Facebook, Instagram and Google display ads directly in MailChimp to drive traffic, build your list, and convert them. This is one-stop shopping. Other email service providers offer simple subject line split testing. MailChimp offers that and more. In MailChimp, you can the subject line, from name, email content and send time. All simultaneously, if you choose. Once MailChimp finds a winning combination, it sends that version to the remaining list. Take the guess work out of what will perform best. Let MailChimp’s machine learning run the statistical analyses to find that result for you. MailChimp has separate builders for opt-in forms and landing pages. MailChimp offers spam detection on the opt-in forms to reduce the number of bogus sign-ups. We wish the forms optimized themselves though. The landing page builder give you the option to offer incentives. MailChimp includes email list growth tracking, plus basic analytics on delivered messages like open rate and click-through rate. UTM link parameters are supported so you can track behaviors in Google Analytics and other web analytics tools. If you connect MailChimp to an e-commerce provider, like Shopify or WooCommerce, you can track the ROI of your campaigns too. MailChimp gives you the ability to setup list segments and manage them with tags. Our feature segmentation feature are “pre-built segments”. With pre-build segments, MailChimp automatically creates segments based on subscriber engagement, customer behavior and demographics (if they’re known). So now you can reach out to subscribers who haven’t opened your last five campaigns. Or, you can send a different message to lapsed shoppers who made a purchase in the past but haven’t bought recently. If you upgrade to a paid Pro offering (on top of the monthly fee), you can get demographic segments. Split test your email subject, email content, from name and delivery time. Test one of them. Test all of them. Your list size will determine how many variables you can test at once. But we love that MailChimp gives you all of these options. When MailChimp finds the winning combination, it delivers that message to the rest of the list. This is a best-in-class user experience for split testing and A/B testing. A few years ago, MailChimp made a radical pivot to marketing automation. And they did it well. Automation takes on a few form. First, MailChimp has automation triggers. These triggers launch new email campaigns depending on reader behavior. You can set up different sequences for readers who open an email, or don’t open an email. Or, build a different sequence for readers who click a specific link. MailChimp also has good e-commerce triggers, if you manage an online store. We didn’t find the user experience as clean as ConvertKit (read our ConvertKit review), but MailChimp wins in other areas to make up for it. MailChimp’s integrations run wide. As one of the most popular email service providers, MailChimp integrates with just about any tool that offers email integrations. MailChimp integrates with lead capture services, membership and course websites, e-commerce tools, webinar services, payment tools and Zapier. MailChimp offers a free plan if you have less than 2,000 subscribers and do not want to send unlimited emails. When your list gets larger, MailChimp pauses sending until you upgrade. You can get a discounted rate if you sign-up for an annual plan. Plus, MailChimp offers a 10% if you turn on two-step authentication. We haven’t seen this feature offered by other email service providers, but we turned it on right away when we found it. ConvertKit is a beautiful, powerful email marketing platform made for bloggers and e-commerce stores. Split testing, email triggers and sequences and opt-in incentives are built-in. 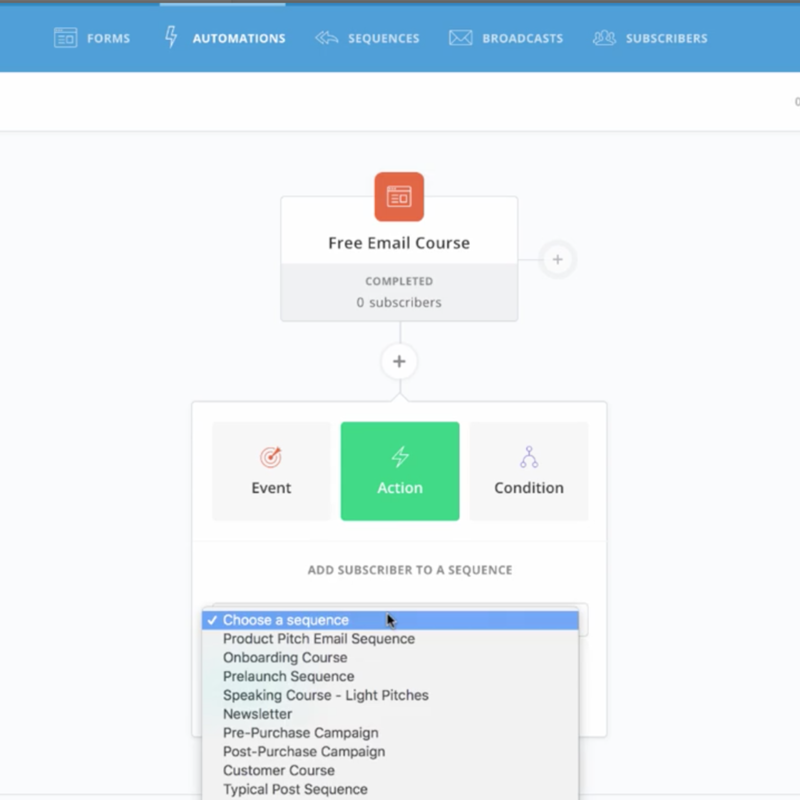 While other email marketing providers have bolted on marketing automation features, ConvertKit was built from the ground up with marketing automation in mind. Read our ConvertKit review. ConvertKit receives our highest recommendation from Email Marketing Science. One of ConvertKit’s most powerful features is its marketing automation. Once you set up a form, you can begin threading sequences together. 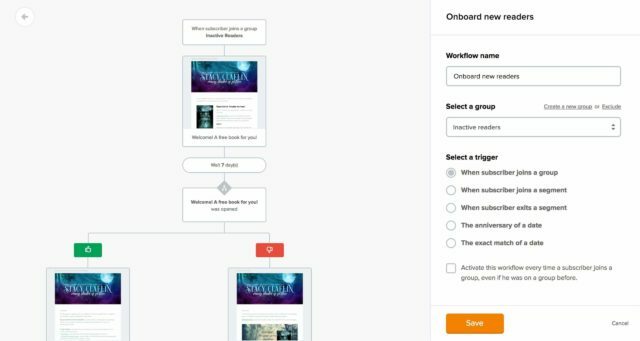 ConvertKit users create their own visual workflows for when and what to send subscribers. Marketing automation campaigns can become cumbersome and overwhelming. But ConvertKit’s experience makes setup and edits a breeze. We absolutely love the experience. This is marketing automation at its finest. A/B testing or split testing is one of the best ways to improve your open rate and click-through rate. It’s an emailing marketing best practice. But, it’s easier in some tools than others. ConvertKit builds subject line split testing directly into the tool. Next to the email subject text box, click the “A/B” button to create a second headline. ConvertKit will automatically test both subject lines. They first send emails with subject to a small subset of your lists. Once ConvertKit finds the best performing subject, it sends the better performing subject to the rest of your list. And it’s all automatic. Easy, right? Offering incentives drives email list growth. People are more likely to subscribe to your list if they get something in return, like a guide, PDF checklist, free ebook or course. Incentives are powerful tools but difficult to embed. Sometimes, you need to upload the the file yourself. ConvertKit handles incentives for you though. When you set up a list, you can create an incentive email. You can upload a file like a PDF or video. Or you can point to a URL. 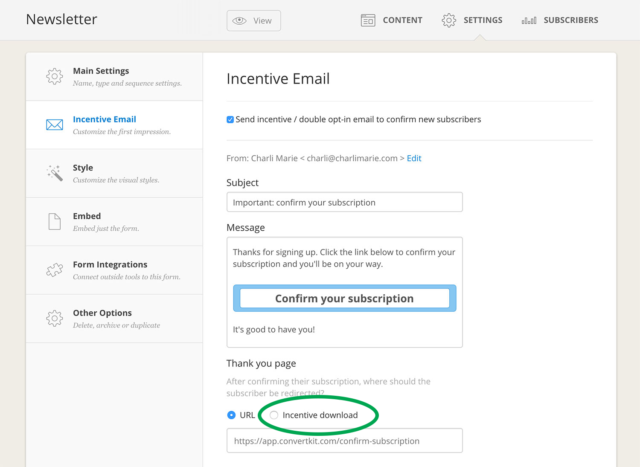 Now, when users confirm their email addresses, they get your incentive delivered automatically. This feature is one of ConvertKit’s competitive advantages. ConvertKit includes a built-in form builder to make your opt-in forms look as good as your emails. It’s a powerful builder to work better than most competing services. We wish the forms optimized themselves though. ConvertKit includes email list growth tracking, plus basic analytics on delivered messages like open rate and click-through rate. If you set up UTM link parameters, you can track behaviors in Google Analytics and other web analytics tools. If an email subscriber is already subscribed to one of your lists, you can segment them into different lists. And ConvertKit doesn’t charge for having the same subscriber on multiple lists. ConvertKit lets you group subscribers by tags, and then segments can organize tags. This means you have plenty of flexibility to test and change your lists in the future. It’s really simple to A/B test different headlines. In fact, it’s built in next to every subject line. And ConvertKit will automatically send the best performing subject to the rest of your list. But easy A/B and split testing stops there. If you want to test different email messages, you will need to test your own campaigns on your own. 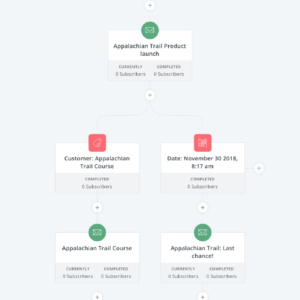 ConvertKit’s sequence workflows are powerful and easy to use. 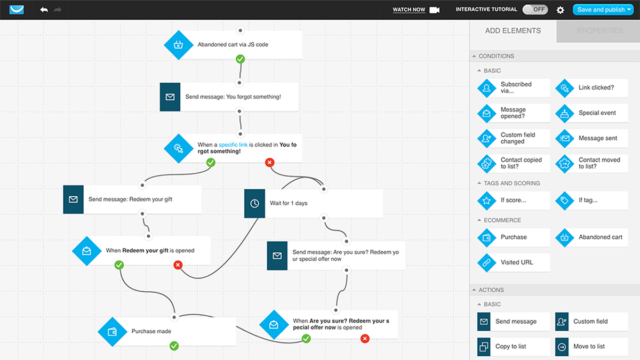 You can easy build deep, integrated workflows. And you can edit them later. ConvertKit’s automation workflows beat every other tool we have tested. ConvertKit also has link triggers. If subscribers click on a specific link in your email, you can automatically add them to their own sequence. ConvertKit’s features can extend broadly thanks to dozens of integration. It integrates with lead capture services, membership and course websites, e-commerce tools, webinar services, payment tools and Zapier. We wish ConvertKit had a free plan for small lists. After all, ConvertKit is built for bloggers who are probably bootstrapping and growing their lists from zero. But ConvertKit does offer a 14-day trial for free.